The heart and soul of flamenco dancing. This fascinating documentary chronicles Omayra Amaya’s unusual life as a flamenco dancer in Boston. This DVD is a tribute to her struggle to keep a fiery dance form burning in a chilly New England city. Also included is dazzling historical film footage of Amaya’s great aunt, the legendary Carmen Amaya, considered the greatest flamenco dancer of all time. Footage of her dancing has rarely been seen in over 54 years. 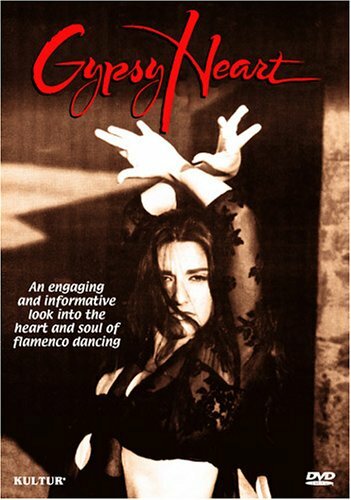 Omayra Amaya states, "I am a Gypsy from Anadalusia", and explains that flamenco emerged from Spain’s persecution of Gypsies as "a scream of liberation." The program delves into the difference between dancers who grow up with flamenco "natural dancers" and those who learn it in a classroom "academics." Amaya also explains how she tries to balance tradition and experimentation without "crossing the line of flamenco." This unique program is an engaging and informative look into the heart and soul of flamenco dancing and a rare glance into one of the most famous flamenco families, the Amayas. Includes original music by Jose Valle "Chuscales."